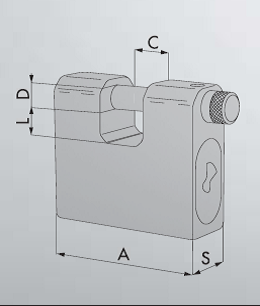 See below the dimensions of the CISA LIM Series Heavy Duty Container Padlocks. The CISA 285 66 and 285 75 are perfect for container lock boxes. The 285 84 and 285 85 are more suited to security gates, warehouse doors etc. For more information call us on 0151 495 5740.